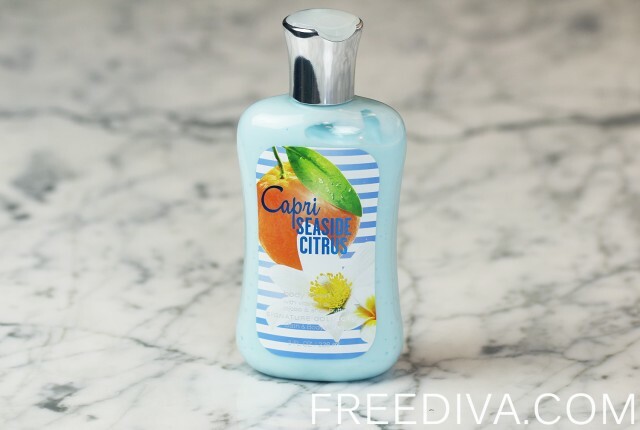 The new Sheer Cotton & Lemonade Line Bath & Body Works is my most favorite line this season. This new scent is simply amazing. It combined the light, clean and airy notes with fresh and sparkling citrus notes. In my opinion, it is slightly unusual combination, but in this scent it worked out pretty well. Aside from expected Bath & Body Work product quality and amazingly beautiful packaging, this new line has Body Scrubs with a new formula. I think, they are an absolute success! Both Sweet Magnolia & Clementine and Sheer Cotton & Lemonade Line Bath & Body Works featured scrubs with a new formula and were completely sold out. The body cream, lotion and a new product, body soufflé – all contain more of what skin loves, leaving it feeling incredibly soft, smooth and nourished. They are fortified with nutrient-rich ingredients like protective Vitamin E and conditioning Vitamin B5, the new fast-absorbing, non-greasy formula that keeps your skin moisturized around the clock. Sheer Cotton & Lemonade Shea & Fruit Body Scrub – This scrub was my absolute favorite this season because of its unique fine grain texture and airy scent; unfortunately, this scrub was so popular that it did not last until Bath & Body Works Summer Sale. I grabbed the last two from the local store. 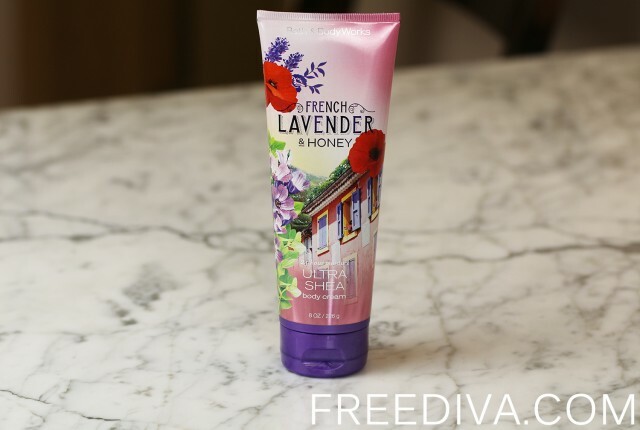 Sheer Cotton & Lemonade Ultra Shea Body Cream – Bath & Body Works ultra Shea creams are my favorite moisturizers. I use them both during Winter and Summer when the skin tends to get especially dry. 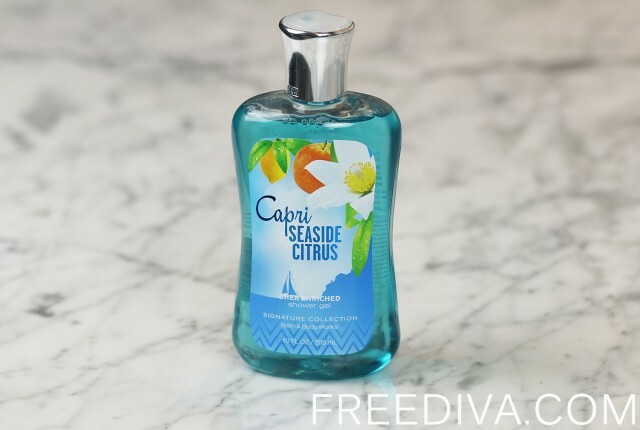 Sheer Cotton & Lemonade Fragrance Mist – I absolutely love this new scent! It is very clean and airy with a fresh sparkle of citrus notes, very refreshing! Sheer Cotton & Lemonade Shower Gel – this luxurious thick and foamy shower gel lathers well and leaves the skin crispy clean. And also it has an amazing scent! 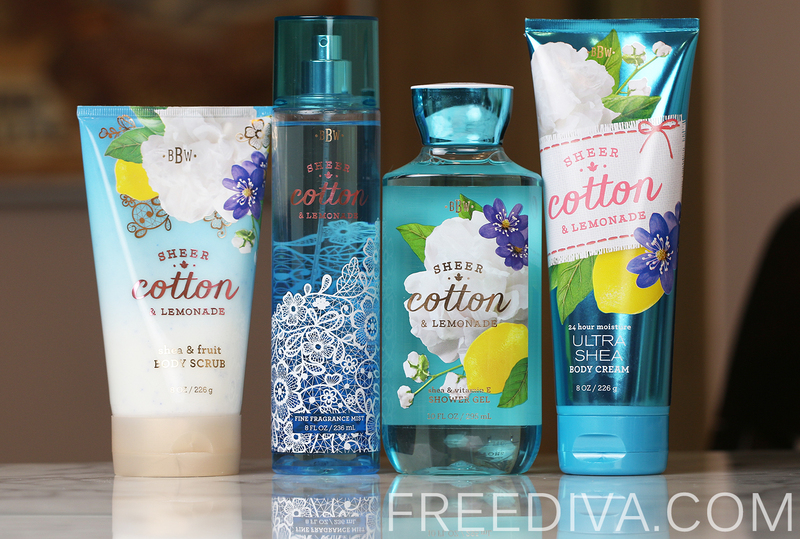 Sheer Cotton & Lemonade Body Lotion – Normally, I skip lotions, only because I prefer and buy Ultra Shea Body Creams instead. Sheer Cotton & Lemonade Shea & Fruit Body Soufflé – This is a new product with a unique texture. 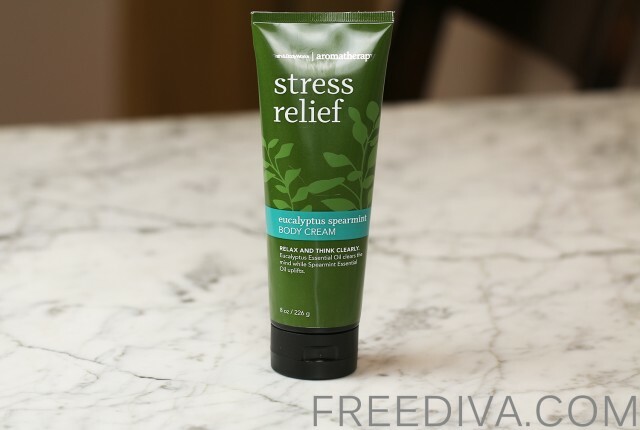 I thought about getting it, but decided not to, only because I ordered Ultra Shea Body Cream from the same line online, and simply did not end up with too many body moisturizers.